Only one person can answer this question: you. With the right team, the right leader, and a bold and innovative new product, anything is possible. The technology is already in place, or about to be developed soon. Right after I knew that achieving my goal of making my first $1 million was possible, I began thinking about setting the next goal. I knew I could go on to make $10 million doing things much the same way. However, $1 billion would require new skills and a whole new way of thinking. That is why I set the goal despite continuing to come up against much personal self-doubt. Once I had the nerve to set the goal, I began to learn how others had made it. If I had not set the goal, I would not have thought it a remote possibility, and I would not have come across books and articles about how so many people are achieving that goal. 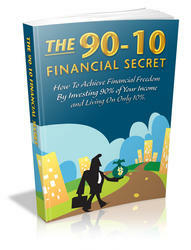 Several years ago, when I was deeply in debt, I thought becoming a millionaire was impossible. Therefore, in retrospect, I do not think actually achieving the goal is as important as writing down the goal and then going for it. Once I committed to the goal, my mind seemed to find the ways my goal could be possible. 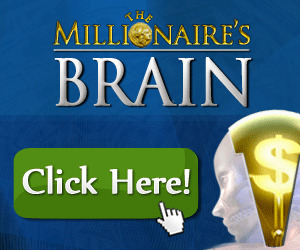 If I had said the goal of becoming a millionaire was impossible, I believe it would have become a self-fulfilling prophecy. After I set the goal to become a billionaire, I was plagued with self-doubt. However, my mind began to show me ways it was possible. As I focus on the goal, I continue to see how becoming a billionaire could be possible for me. I often repeat this saying to myself: "If you think you can, you can; if you think you can't, you can't. Either way you're right." I don't know who the author is, but I thank that person for thinking it.